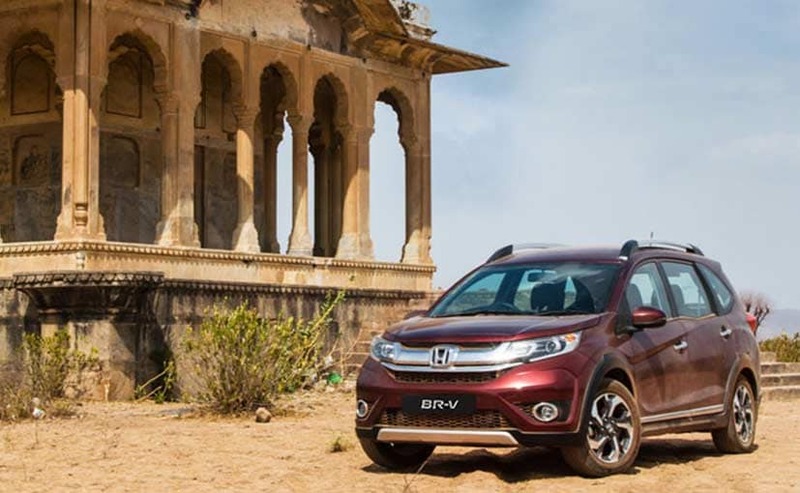 Honda BR-V, the Japanese carmaker's upcoming compact SUV, will arrive in a segment that fields well-established names such as the Renault Duster and the relatively new Hyundai Creta. The BR-V is based on the same platform as the Honda Brio hatchback, albeit extended and noticeably adopts some design details from the Mobilio MPV. With the launch round the corner, Honda has been earnestly marketing the compact SUV in the country. In addition to the the '#WhereNextWithBRV' digital campaign, its dealers also started accepting pre-orders for the car last week. As the company mobilizes for the BR-V's launch in India on 5 May, here's a rundown about the car. 1. 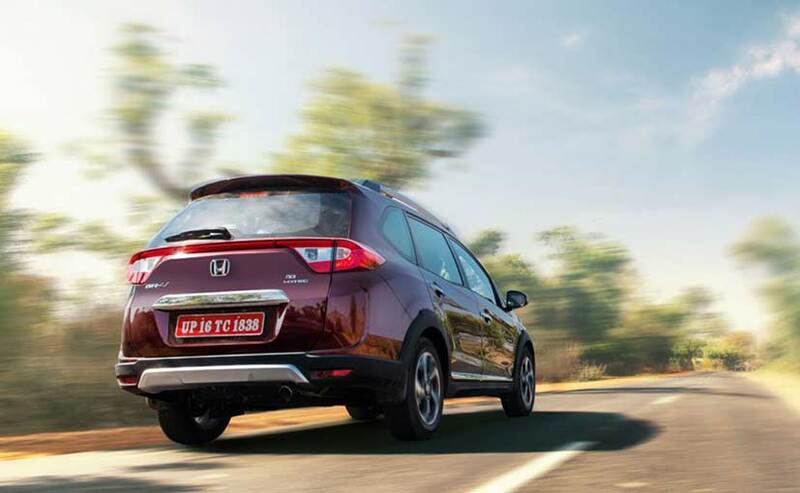 The compact SUV's design is found on Honda's 'Active Solid Motion' tenet. 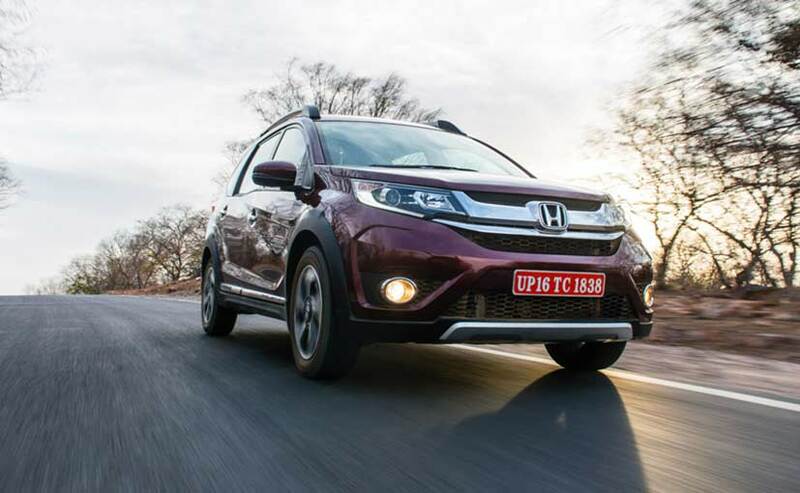 The Honda BR-V sports a large chrome-slat grille, black projector head-lamps, a sturdy bumper, plastic body cladding on the wheel arches, and gets a ground clearance of 201mm to round off its intrepid stance. 2. Though the side profile may to remind onlookers of the Mobilio, the BR-V's rear manages to look quite fresh for a Honda car. 3. The Honda BR-V compact SUV measures 4,455mm in length, 1,735mm in width, 1,650mm in height and gets a wheelbase of 2,660mm. 4. The first 7-seater SUV in its segment, the cabin will include fairly premium seats, steering-mounted controls, and automatic climate control among other provisions for comfort and convenience. 5. Honda BR-V's list of safety features will include dual SRS airbags, ABS with EBD, Vehicle Stability Assist (VSA), Hill Start Assist (HAS), etc..
6. Honda will offer two engine options on the BR-V: the 1.5-litre SOHC petrol and the 1.5-litre i-DTEC diesel. The petrol engine puts out 117bhp and 146Nm of maximum torque, while the diesel develops 99bhp along with 20torque. 7. Choice of transmission will include a 6-speed manual gearbox and a CVT (Continuously Variable Transmission). 8. 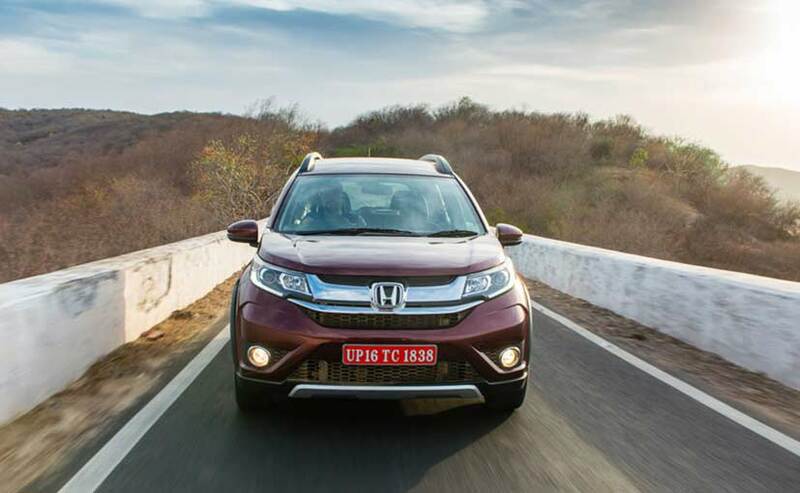 The Honda SUV will primarily face competition from the Renault Duster and Hyundai Creta. 9. With due consideration to its rivals, we expect the Honda BR-V's price to range between ₹ 8.5 lakh - ₹ 12 lakh.